Kuskitannee Lodge 168 | Quality Lodge 2000, 2001, 2002, 2006, 2007, 2008, 2009, 2010 !!! Request an Election for 2019 by clicking here! You can register for lodge events by clicking here! 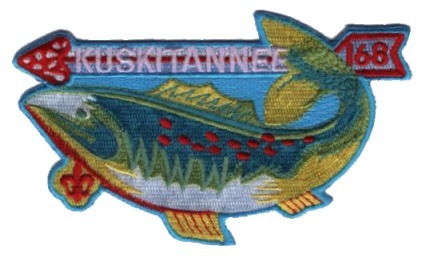 We are Kuskitannee Lodge, Order of the Arrow, Boy Scouts of America. We proudly represent Moraine Trails Council in Western Pennsylvania. We are committed to serving our council and surrounding communities, developing youth leaders and promoting camping in our council. We have a lot of fun activities for our members throughout the year. Click on the calendar tab or the register on-line tab to see a list of our activities. Looking for a place to go camping or need info on camping? Visit our Camping page! Need a form or have questions, visit our Resources page or the useful links page. For back issues of our newsletter or to see our EC meeting minutes, click on the Publications tab. Kuskitannee Lodge was formed in 1973 but we can trace our roots back to 1939. Please review our Lodge History. We are a very active lodge and we work hard to be authentic in our Native American activities. We are the three-time consecutive National Champions in Northern Drum (NOAC 2004, NOAC 2006, NOAC 2009)! No other lodge has ever won this three times in a row!